Public confidence in charities has been affirmed in a new report by the ACNC, although the national regulator also revealed red marks are next to the names of thousands of organisations on the Charity Register, for not complying with information requirements. A report published last month by the Australian Charities and Not-for-profits Commission (ACNC) has affirmed the public’s trust in charities, in spite of the sector regulator announcing soon after that it had ‘red marked’ more than 4,000 charities for not submitting their 2014 Annual Information Statement. The ACNC’s new 2015 Public Trust and Confidence in Australian Charities Report has stated that charities are viewed as among the most trustworthy institutions in Australia – more trustworthy than the High Court, Reserve Bank, religious organisations, and the Federal Parliament, and only out-ranked by doctors and the police. While survey respondents indicated mistrust in perceived over-spending on administration or fundraising, charities earned an overall score for trustworthiness of 6.4 out of 10. The news was welcomed by the sector peak body, Fundraising Institute Australia. Compliance is another area offering room for improvement. The ACNC’s report was also soon followed by the regulator revealing a red mark had been put against the names of every charity on the Charity Register that had failed to submit the legally required information within six months of the January 31, 2015 cut-off date. The ACNC said the purpose of the mark – which will be removed when charities submit the statement – is to flag to prospective supporters which hadn’t complied with their obligations. “Submitting an Annual Information Statement is not only an obligation of being an ACNC registered charity, it’s also a way for charities to demonstrate transparency and show the public the work they are doing in the community,” said Susan Pascoe, the ACNC Commissioner. 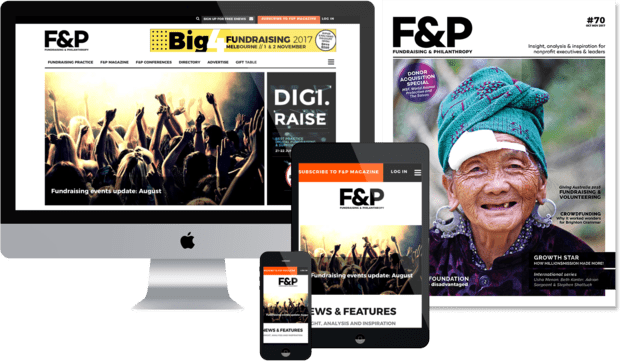 Click here to read an article on F&P’s sister publication, Generosity, by Susan Pascoe about addressing misconceptions and enhancing trust in the charity sector. To learn more about Annual Information Statements visit acnc.gov.au/2014AIS. Click here to check your charity entry and reporting due date, or log onto the ACNC Charity Portal.